There was a time when I would always watch the ABC Family original movie. Who am I kidding; I still do that. For this same reason, I love the Au Pair films. 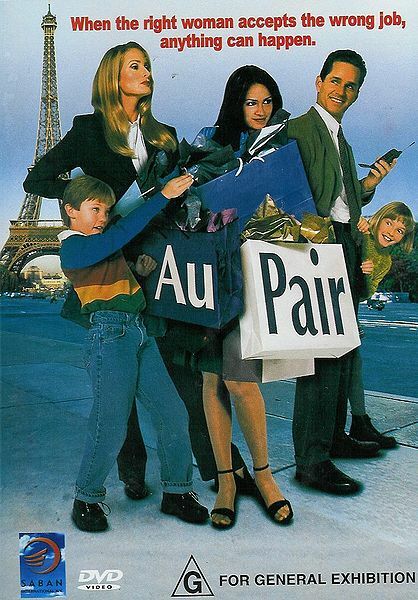 Every time the first two parts, Au Pair and Au Pair II, air I watch them. Even though I’ve seen them countless of times. I just find them to be entertaining fluff without being overly irritating and I can watch them over and over again. When I found out that part three, Au Pair III: Adventure in Paradise, was premiering tonight on ABC Family, words cannot describe how excited I got. So that is what I’m doing tonight; relaxing and watching Au Pair III. ahhh! this is definitely one of my guilty pleasures too! haha! so glad I’m not alone! Previous Previous post: Freida Pinto: The Next Bond Girl?